Lights And Lighting section welcomes sellers and buyers from worldwide. Make selling easier with Export Portal! Sell and buy a wide range of home lighting from bulbs to landscape lighting! Lighting is the use of light for practical or aesthetic purpose. Good lighting can increase the task performance and improve the appearance of an area (for example indoor lighting is a central part of an interior design). - task lighting - used for reading or inspection of materials. - accent lighting - which has a decorative use and is intended to highlight pictures, plants, or other elements of interior or exterior design. - general lighting or ambient light - intended for general illumination of an area. - ceiling lights: chandeliers, decorative linear, pendant lighting, recessed lighting, track lighting. - outdoor lighting: wall lantern, outdoor pendants, lanscape lighting. - lamps: table lamps, floor lamps, desk lamps. 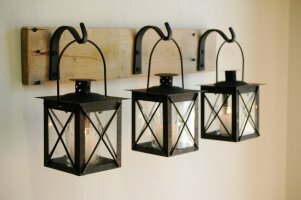 - wall lighting: picture lights, bath vanity lights, wall swing lights. - light bulbs: LED bulbs, incandescent lamps. Explore our Furniture and Home Decor Goods department for more cute accents for your interior or exterior design! Sell bulbs, lamps and chandeliers worldwide on Export Portal!